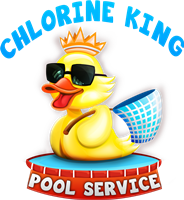 Variable Speed Pool Pumps - Chlorine King Pool Service - Seminole, FL. What is a Variable Speed Swimming Pool Pump? 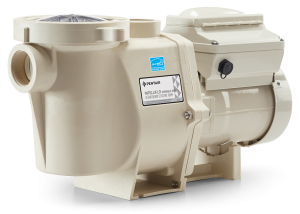 A variable speed pool pump is a relatively new technology that allows the pump to run using a lot less power. Think of it as your standard pool pump but with a dimmer switch. Single speed pumps can only run at one speed of 3450 RPM (revolutions per minute) and can only turn on and off. That's it. On, off, on, off. There's no ability to change the speed of it. Often times single speed pumps have a shorter life when compared to their variable speed pool pump counter part because it's running all day long full speed. Also, you have to make sure you size your equipment correctly to make sure you are not causing premature wear to your other equipment. Another thing you have to worry about is run time. The reason for this is because 3450 RPM, all day long, is overkill for most pools. You can usually achieve the recommended turn over rate of 1.5 times of turn over in a very short time period with a single speed pump. That sounds great though, right? Not so quick. The key to keeping your pool clean and clear is by having the water circulate. When the water is moving is when it's being treated by the chemicals, it's going through the filter to be cleaned, and gives algae a lot less time to be able to grow due to water stagnation. So we need to keep the single speed pump running longer than necessary to prevent those issues especially during the summer time. That's where the variable speed pool pump comes in to save the day. Variable Speed Pumps Are The Answer? Please Do Share! The variable speed pump allows us to manipulate not only the run time, but also the speed at which it runs. For the first time we are now able to control how our pool pump runs. Because of this we can dial in not only the perfect turnover rate, maximize run time to keep algae gone, but also save us some money to boot. Sound to good to be true? It's not and we have the science to back it up! Another awesome perk is the lower speed you run it the quieter it is. Now your neighbors will love you too. You may even get some meals cooked for you as a thank you from them. It's a win-win! Below is a brief video explaining just this!